A new research note from KGI Securities analyst Ming-Chi Kuo indicates that Apple will include Touch ID across all new iOS devices in 2014, boosting shipments and bringing the fingerprint sensor to the iPhone 6, iPad Air 2 and iPad mini 3. The report reiterates previous claims made by Kuo last month, which noted that Apple's next-generation iPads will feature Touch ID upon their releases this fall. 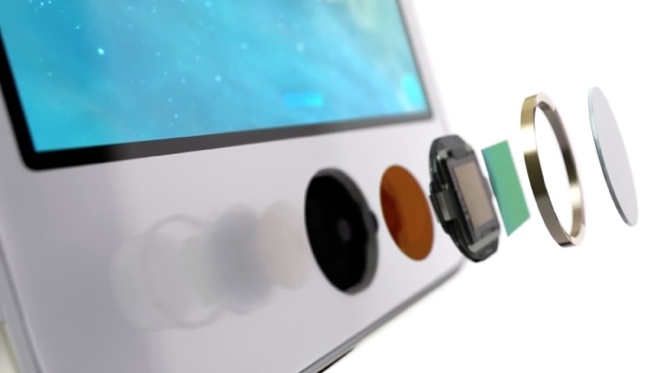 Apple’s Touch ID module should see shipments soar 233% in 2014. We believe every new iOS device launched this year will be equipped with Touch ID, including 4.7” and 5.5” new iPhone 6, iPad Air 2 and iPad mini 2 with Retina display. Considering shipments of new products and iPhone 5S sales last longer than in 2013, we forecast unit sales of the fingerprint sensor module to grow 233% to 120mn for 2014. Kuo also notes that Apple will change its Touch ID module design to utilize tin over previously used chemicals to enhance durability. Apple is also expected to stick with Taiwan Semiconductor Manufacturing Company (TSMC) and its subsidary XinTec to produce the fingerprint sensors. Last month, it was noted that TSMC provided the first batch of fingerprint sensors for the iPhone 6, iPad Air 2 and iPad Mini 3. A report in January noted that TSMC would begin production on the sensors sometime in the second quarter of this year with a new 12-inch fab processing method, however a report in February stated that TSMC would be using the same 8-inch fingerprint sensor processing method used for the iPhone 5s. Improved shipments of Touch ID will also likely help launch supplies of all three devices, as low yield rates of the component was said to be a key factor contributing to the limited supplies of the iPhone 5s at its launch last September. Obvious. Like predicting the sun will rise tomorrow. Tell me something I don't know MR. In other news, MR believes that the iPhone 6 will have a CPU and come with included software. Breaking News: The sky is blue. Actually, that would be news since air molecules are clear. The blue that you see is sunlight. As others have mentioned, big whoopee surprise. The part about using tin versus chemicals to improve durability is the only interesting part of this article. The comments in posts are getting more and more hilarious. So much whining. It's going to take a whole lot more than this to make me want to upgrade my iPad. Assuming I am not the only one thinking this, then that according to the sales figure reports, will become more and more of an issue to Apple. It could be seen as useless on an iPad. Personally I'm waiting for a RAM and flash update. It is pretty pathetic that Apple has not addressed these two items for a couple of years now.